Presented in partnership with Gotta Knit!, our popular series of free summertime knitting lessons began yesterday in the park. 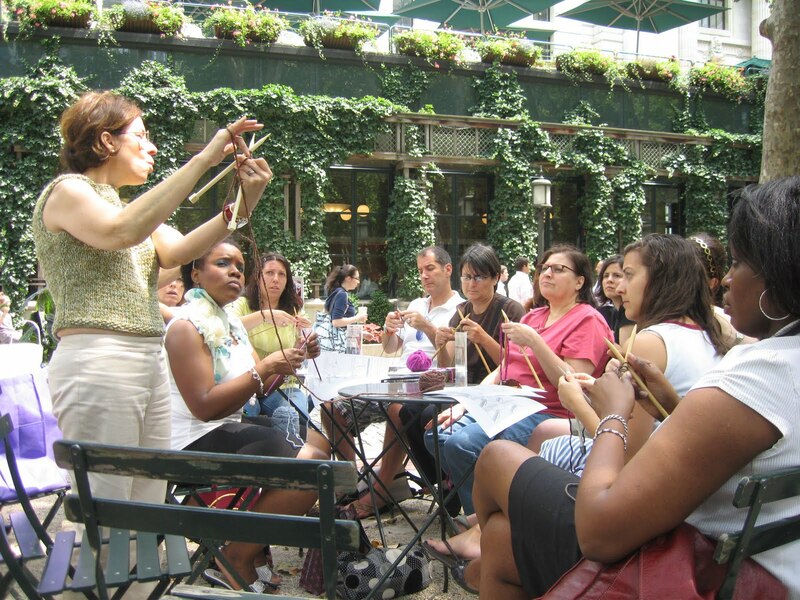 Bryant Park Knits brings New York City's knitting circle scene outdoors and helps newbies learn the basics of casting on and the knit and perl stitches. Class size is limited in order to answer questions and give personal attention to each student, so make sure to pre-register and reserve a spot. Yarn and needles are provided to participants, free of charge.